I’ve been making these “green bowls”….or at least that’s what I call them. I know, ridiculously healthy, right? I don’t even know who I am anymore! But I’ll tell you what—ever since I started eating these green bowls a few times a week for lunch, my energy has totally increased ten-fold. For reals. Basically, what I do is bake up some extra firm tofu…. I still use the exact same recipe/preparation method that I did back in 2008! It just can’t be beat. While the tofu is baking, I bring some stock to a simmer and toss in some whole wheat cous-cous. And while that’s cooking, I start on my greens. I’ve been getting a CSA bag every week from a local farm here and it has done amazing things in my veggie consumption. I’ve found that I really don’t go out of my way to BUY greens every week (it’s a nice thought though) but……if they’re already in my fridge I feel like I “have” to eat them. Plus, fresh greens from the farm are so incredibly fresh and taste much better than the wilty greens at the store. So, I’ll throw a little olive oil in my skillet and saute up some squash (also from my CSA bag) and then once that’s tender, I’ll add my greens—-usually a big mix of kale and rainbow chard. I add a TON—probably four or five cups because it cooks down. Then, I’ll put my cous-cous in the bowl, top with the greens and baked tofu and add a big squirt of both sriracha and goddess dressing. These bowls take me forever to eat and really do numbers for energy levels during the day. Plus, they’re way more fun than having a boring turkey sandwich or egg burrito every day. Mmmmm…that sounds fabulous! Healthy, filling, and delicious! I love it! these are the days when I am jealous of those of you who work from home….I wish I could pack my kitchen in my lunch box! 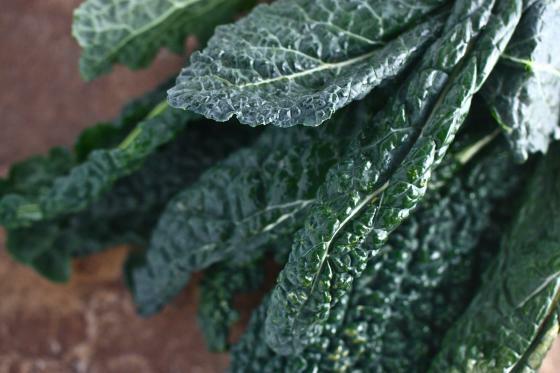 I haven’t been able to find kale at my grocery store, I’m thinking the farmer’s market is the way to go but usually am busy on Saturdays when they’re held. However, this looks great and I love eating greens throughout the day…I guess I’ll just have to make it a priority! Mine are fat and ugly. OMG – I was just thinking the same thing! LOL! It does look good! 🙂 I can’t soy, so might try it with some chicken breast. (Out of interest, are you planning to revert your blog back to the old “healthy living” format? NotthatIpreferthecupcakesoranythingahem). hehe no! The blog is staying the same…I just might add a few more “healthy” recipes to the mix. It feels like a completely different blog now – not that that’s bad though!! I just mean, it seems to have gone through another big change. But, I guess that’s the beauty of humanity – it is ever changing and evolving. Also – the beauty of balance – greens and cupcakes :)…as long as you stay authentic to yourself. (Oh and that looks like Buddha bowls I hear of)…but I’d definitely need some cheese in there. The big question though – does Adam go for it???! I really like that you are “getting back to your roots.” I love cupcakes too… but they aren’t something that I can make a couple times a week. Now, healthy recipes with a cupcake one here and there – that I can do! The tofu recipe looks great! I’m going to try that! My way just isn’t all the great. This looks so much like what I made for dinner the other night (and am posting about tonight). I’ve been getting tons of greens that are best eaten cooked in my CSA box too! seriously though Who are you? and what happened to meat loving, cupcake gobbling Jenna? I mean not that its a bad thing or anything but whoa! That sounds delicious — although I wouldn’t mind an egg burrito for lunch either! I LOVE VEGGIES!! 🙂 keep em coming!!! And printed the tofu recipe, that looks fantastic to bake it, it never works right for me in a skillet. This sounds amazing! I love couscous, and kale is SO good for you! Win! Those sound really good! My typical inner is a lot like that only with sauteed veggies. And like you said, ever since starting to eat them I feel so much better! I feel nerdy and like I have no life when I say this…but I love healthy Jenna!! I’m new to the blog, but I’m loving “healthy Jenna”, too! I also heart kale and tofu, which pretty much makes me nerdy, too. loooooove healthy jenna and want to see a better balance too!!! Whenever I’m feeling a quick lunch, I always top some salad greens with tofu or eggs and sweet potatoes, and drizzle with tahini dressing. So good! Looks delicious! How do you store the tofu that you don’t use right away? Put it in water? sounds delish. i’ve been trying to up my green intake, too. Looks delicious! 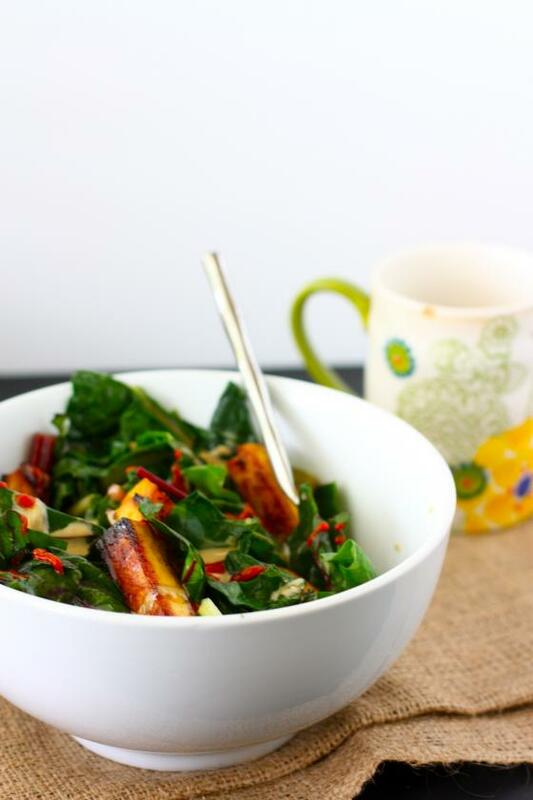 I love making “bowls”….you always are able to fill ’em up with such yummy nutritious combos! And I was hoping for a picture of the shoes! The BF & I joined a CSA, too, and we groan a bit about too many veggies, but it really does “force” us to eat them. It’s also nice not to think too hard about what to have for dinner. What is all this “real food” I’ve been seeing?!? Quinoa…kale…chard?? Haha.. I guess everything in moderation 🙂 You can make any recipe look delicious though, so thanks for sharing! This looks so good! Thanks for the wonderful idea! Can’t wait to try it out! Tofu has always freaked me out, but this would be really good with lean chicken or fish! Awesome to hear your CSA share is helping you with your veggie consumption….yay! Love your blast-from-the-past tofu recipe/technique! This sounds like my kind of lunch! I do a similar green bowl with quinoa instead of cous cous because that’s what I usually have on hand. And if I’m too lazy to saute the veggies, I just use raw kale or spinach, plus whatever else I have in the fridge! I think avocado and mustard would be great topped over a bowl like that. How often do yo u eat tofu? ooh your bowls sound amazing I love tofu and greens!! im not a fan of couscous but it might be good over quinoa or spelt berries! I think I need some green bowl goodness right now. It looks great! Mmm that kale looks scrumptius! My hubby and I have totally been talking about trying to reduce our meat consumption lately and I was struggling with where to find good vegetarian recipes. I completely forgot that I’ve had that Whole Foods app on my iPhone for like 2 YEARS!! Thanks for the reminder!! 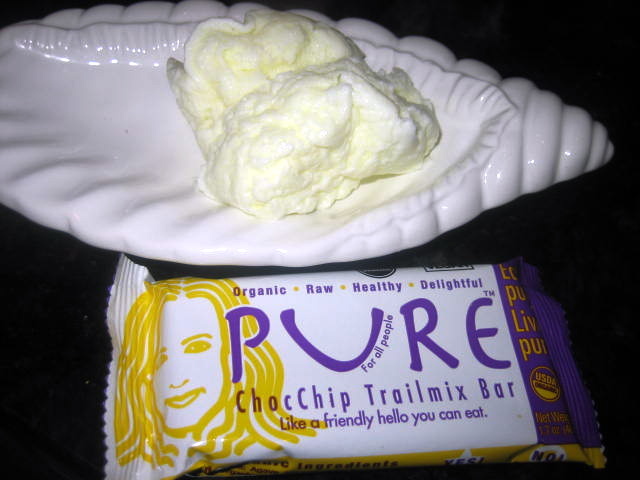 Yum, these “healthy” posts appeal to me much more than the baking/sweets-thanks Jenna! I make something like this-always just throw it together…. 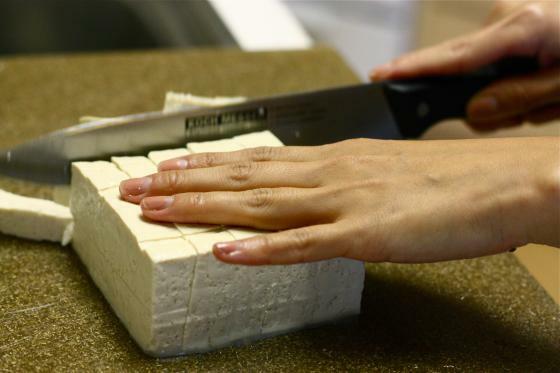 I like tofu but have avoided it a bit since I have been reading not so good for us…. are, but I guess most frozen processed foods are not as ideal as real food. I *love* your new recipes. I can’t wait to see what’s next. And your coffee cup is really cute. Love the mix of of sweets, meats and veggie recipes. My eating style is a bit all over the map, so this works perfectly. This is great!! Always looking for new ways to add more veggies to the mix. Will be trying this tomorrow! You make your own tofu?!!? That’s amazing! Thanks for sharing such a simple, healthy and yummy lunch idea. I’m always stumped when I get tired of the same old salads and sandwiches. I tried this today, except with brown rice because that was all I had. What type of squash works best in this? I totally forgot that part…but didn’t have any anyways. I could have used mushrooms though. I think if you add some liquid aminos in with your greens when you cook them, you’d be surprised at how little dressing you need! I love the combo of healthy and sweet recipes! keep it up! I was actually starting to miss the actual food receipe posts! I don’t get why people are freaking out about a little veggies. No one can eat sweets ALL of the time….. I just stumbled across your blog and just made this for lunch- i did a variation on your version of baked tofu (so good! and way simpler than my usual recipe) and then sauteed broccoli and spinach with mushroom broth, bragg’s and garlic. All over left over couscous. AMAZING. My new fav meal. Thanks for the inspiration! 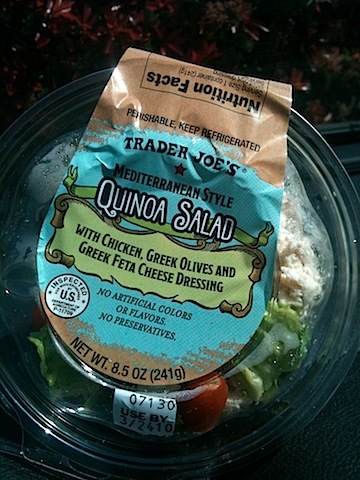 I’ve been eating these types of lunches lately too and took the extra energy and lightness for granted! I had a big heavy sandwich today that was completely delicious, but left me feeling kinda blah. Actually it feels like a brick in my tummy! Definently going back to the greens and grains lunches again next week! Love this post, and your two quinoa recipes. I rarely bake, so it’s really nice to see some every day recipes I can actually try!